Eddie Jones' hopes of testing a few players with RWC 2015 in mind was derailed by torrential rain forcing the abandonment of their final Asia Rugby Championship match with Hong Kong. 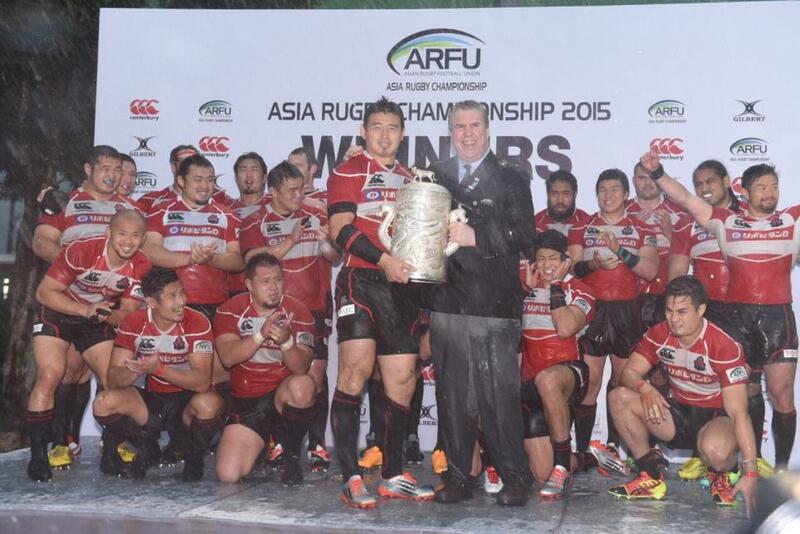 Japan coach Eddie Jones was left frustrated after their final match in the Asia Rugby Championship 2015 against Hong Kong was abandoned after 13 minutes due to torrential rain causing the pitch to flood. The Brave Blossoms had already been crowned champions before the finale at the Aberdeen Stadium on Saturday and were leading 3-0 – thanks to Ayumu Goromaru’s penalty – when referee Chris Linwood called the teams off the pitch. A 20-minute rain delay was extended by another 20 minutes but conditions did not improve and resulted in the match being abandoned and organisers to declare it a 0-0 draw, ending Japan’s perfect record of bonus point wins in the competition’s history. “We had a number of guys out there playing for World Cup spots and it is quite disappointing in terms of individuals and what the team wanted to achieve,” admitted Jones. With the match declared a draw, Japan will fall two places to 13th in the World Rugby Rankings – slipping below Fiji and Tonga – while Hong Kong climb above Korea and Belgium into 25th. Another side preparing for RWC 2015 are Argentina and a youthful Pumas side proved too strong for Paraguay, running out 71-7 winners at the Estadio Heroes De Curupayty in Luque to retain the CONSUR Cup. The win had no impact on the rankings with the two sides separated by 27 places. Two other matches resulted in a positional change in the latest World Rugby Rankings with Ukraine climbing one place to 30th after beating the Netherlands 18-10 in their European Nations Cup Division 1B encounter in Odessa. Norway are the biggest climbers of the last seven days after a 43-0 victory over Bulgaria in Division 2D lifted them three places to 87th with Bulgaria falling two to 89th. Norway’s tries in the victory in Bergen were scored by were scored by winger Thierry Davy, flankers Pascal Raclin and Fredrik Skovly, second-row Kasper Solli, scrum-half Nicolas Barral and centre Kristoffer Borsheim (2). The other Division 2D match saw Finland beat Turkey 20-12 but this had no impact on the rankings as Turkey are not a World Rugby member union. This was also the case for three matches in the Africa Cup Division 2 North, which kicked off on Sunday in Ouagadougou with wins for hosts Burkina Faso (67-3 v Benin), Niger (28-10 v Ghana) and Mali (31-12 v Togo).